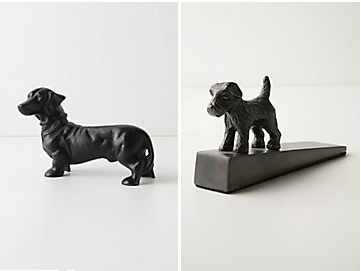 At Anthropologie, the month of the September is going to the dogs. Through their Sit, Stay, Love program, they've partnered with animal welfare organizations across the country for pet adoption events and supply drives, hoping people will find room in their heart to take in a homeless pup. You can also drop off a donation to help animals who've yet to find a home of their own. If you're looking for a four-legged addition to your family, check out the list below and see if there's an adoption event at the Anthropologie store in your town. It's so sad that many of these animals are homeless because of irresponsible practices in the pet industry (i.e. puppy mills) and with owners (i.e. spaying and neutering), causing a severe overpopulation of these animals all across the country and putting a ton of financial strain on these nonprofits. However, I am a huge advocate of responsibility when it comes to being a pet owner, so really think about all that owning a dog entails as far as finances, time and space. If you feel you're lacking in any of those categories, I would encourage you to just donate money or supplies, something these organizations are in desperate need of.